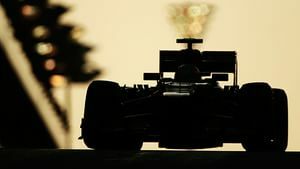 Formula One's calendar for next year has been revealed by the FIA and they've introduced yet another new circuit to bring the total up to twenty. Whilst the first half of the season is almost identical to this year, it's in the second half where things are tweaked. Japan moves up to become a back to back event with Singapore, whilst the USA is also brought forward. That leaves room for the new race in Mexico to take place on 1st November, with Brazil and Abu Dhabi following as normal. The additional race means the season now extends to November 29th, which is a bit too close to December for my liking! The World Motor Sport Council met in Beijing to discuss this as well as other topics. They confirmed a couple of rally calendars, as well as introduced some new junior series' across the globe. They also announced intentions to "review the qualification and conditions for the issuing of a super licence, in consultation with all parties concerned." Whether they'll make it harder or easier to get one remains to be seen - a proposal is expected in December.